Text By Scott Gray © All rights reserved. Imagine sitting on a cliff top and looking below you and seeing a flash in the sunlight. You wonder what could make that flash, and so you whip out your zoom binoculars. With the zoom binoculars, you are able to zoom right in and see that it was just a weird rock formation. This wouldn't have been possible with just regular binoculars. But with a zoom, you can adjust the settings, so that you have a much higher magnification level or just a regular magnification level (by regular I mean probably somewhere around 8X). But the zoom binocular isn't all flowers and perfume. They do have some significant downsides as well. But like every binocular, they have their uses. It all depends on what you want them for. Here are a few things you should know about zoom binoculars. Zoom binoculars have moveable ocular lenses. This is how you are able to adjust the power level. However, with more moving parts, there is a better chance that they will break or become loose. Plus, when the ocular lenses become loose, you have a distorted image. It is a good idea to keep your zooms locked in one position for as long as possible to cut down on this drawback. While zooms can be classified as high power binoculars, the drawback to more power is that you magnify any movement on your part. If your hand shakes or you are bumped, the zoom will magnify this. Many people don't like the zoom for this very reason. The more magnified the image, the more locked in you are to the target. This means that you won't see very much besides the image you are looking at. This is bad for many reasons. For instance, if you enjoy birding, you will find that once zoomed in, the bird tends to move and you will have a hard time locating it again while in zoom mode. Zooms are great for stationary viewing. You can mount them on a tri-pod or other type of mount and view a stationary object at many times the magnification level of a regular binocular. 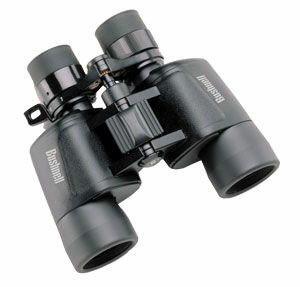 You can buy zoom binoculars that are manufactured well. It may cost you a bit of extra money, but you will avoid faulty design and the best binoculars. This means cutting down on the chances that the ocular lens will become loose. Zooms can now be found in a variety of sizes. You can buy compact or giant zooms. This makes for a great selection. You can even buy digital camera zoom binoculars. While zooms might not be the best binoculars on the market, they are the best at magnifying images. This can come in handy in a variety of applications. Astronomy comes immediately to mind as well as surveillance or looking at natural formations that don't move. Zoom telescopes are a great example of zoom technology that works great. Stars and planets move very slowly and you can mount the telescope so that the shaking doesn't prohibit your viewing. Because of the increased magnification, you would be able to see things with a zoom telescope (or even a zoom binocular) that you wouldn't have a chance to see with a regular telescope or binocular. As you can see, the old mantra still holds true; it all depends on what you want to use the binoculars for. All of them have their place and uses, but you have to be sure about what you are going to use the zoom for, before you purchase them. It can save you a lot of money and aggravation. About the Author: Scott Gray is a freelance writer and outdoor enthusiast who loves to provide useful information about choosing the best binoculars.